Complex hours are dawn to dusk. No vehicles beyond parking areas or on grass. No parking vehicles on roadways. Violators may be towed at vehicle owner's expense. Dogs are allowed on walking trail only. Dogs are NOT allowed as spectators on athletic fields. Dogs must be kept on a leash no longer than 6 feet at all times. Cleaning up after your pet is required. No smoking or tobacco use on Complex property. No defacing of Complex property. Parents are responsible for children's behavior. 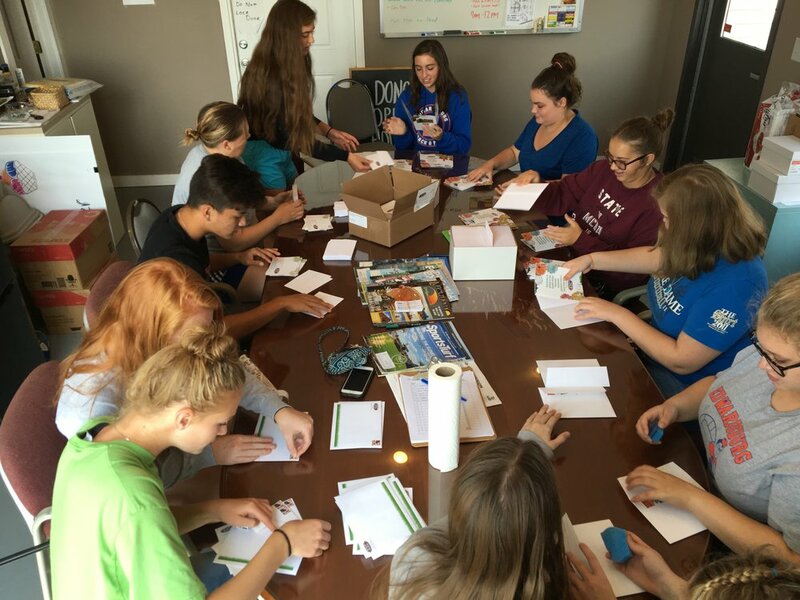 Youth Council prepares fundraising mailings, Fall 2017. Michiana Storm team wins the Kingdom Cup, Fall 2016. In the case of severe weather, visitors and athletes must evacuate immediately to cars and stay in cars until conditions have cleared. Any guest unable to get to their vehicle quickly due to a handicap may seek safety at the nearest shelter building. In case of a tornado warning or other life threatening emergency, all visitors and athletes are encouraged to evacuate the facility and seek shelter away from Edwardsburg Sports Complex. Concessions will be closed throughout weather delays. 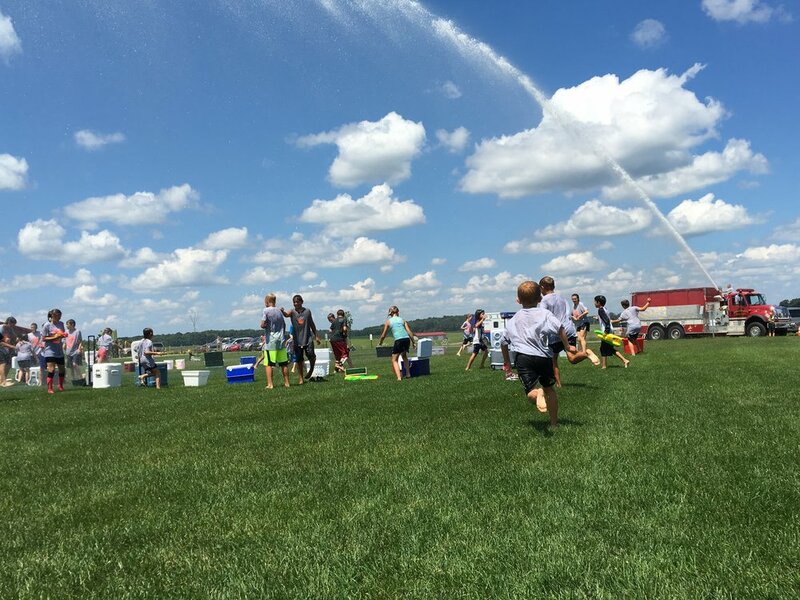 Beasley National Soccer School's July 2017 camp getting a hose down by the Edwardsburg Fire Dept.